People in a position of trust or fiduciary relationship, such as officers, directors, high-level employees of a corporation or business, agents and brokers, owe certain duties to their principals or employers, and any action that runs afoul of such fiduciary duties constitutes a breach. Breached that duty to advance a personal interest. The principal fiduciary duties are loyalty and care. The duty of loyalty requires that the employee/agent act solely in the best interest of the employer/principal, free of any self-dealing, conflicts of interest, or other abuse of the principal for personal advantage. Employees/agents who owe a duty of loyalty must act solely in the best interest of their principal and may not seek to advance their personal interests to the detriment of their principal. Accordingly, corporate directors, officers, and employees are barred from using corporate property or assets for their personal pursuits, or taking corporate opportunities for themselves. Additionally, if an employee/agent commits a more traditional form of fraudulent conduct, such as embezzlement, theft, acceptance of a kickback, and conflict of interest, the conduct also violates the employee/agent’s duty of loyalty and may be redressed as such in addition to or instead of the underlying offence. The duty of care means that people in a fiduciary relationship must act with such care as an ordinarily prudent person would employ in similar positions. Corporate officers, directors, or high-level employees, as well as other people in a fiduciary relationship, must conduct their business affairs prudently with the skill and attention normally exercised by people in similar positions. Fiduciaries who act carelessly or recklessly are responsible for any resulting loss to the corporate shareholders or other principals. Damages may be recovered in a civil action for negligence, mismanagement, or waste of corporate assets. 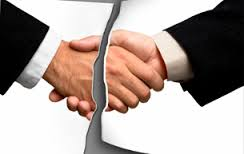 People in a fiduciary relationship, however, are not guarantors against all business reverses or errors in judgement. In many countries, the business judgement rule protects corporate officers and directors from liability for judgements that were made in good faith (e.g., free of selfdealings or conflicts) and that appeared to be prudent based on the then-known circumstances. Corporate defendants in such cases might raise the business judgement rule in defence by showing that they had no reasonable grounds to suspect such conduct or that the cost of prevention or recovery was too high compared to the anticipated returns. Corporate officers breach their duty of loyalty if they accept kickbacks, engage in a conflict of interest, or are otherwise disloyal, but corporate officers who carelessly fail to prevent such conduct, fail to enforce controls, or fail to pursue recovery of losses might also breach their duty of care.